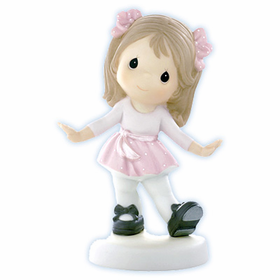 Whether to mark the holidays or other special occasion, Precious Moments figurines are a classic gift. These collectible slices of time show the feelings evoked by the moment, and serve as a steadying reminder of care and fortunate circumstance. 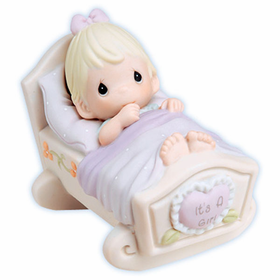 Precious Moments baby figurines are wonderful gifts for any new or expectant mom. 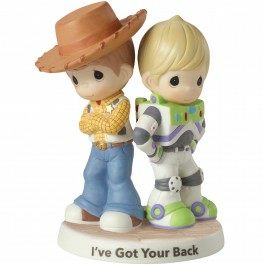 They remind her of your support and the innocence everyone experience as a baby. 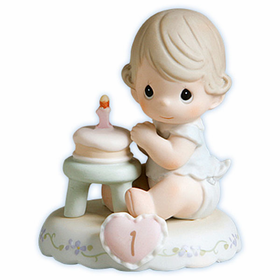 Precious Moments baby figurines also make good additions to the nursery's relaxing ambiance. The Precious Moments wedding series captures the grace and elegance of the binding of two lives. 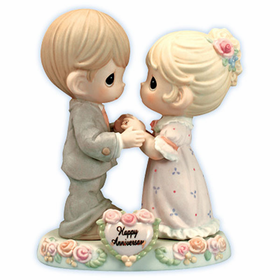 There are many Precious Moments Wedding figurines to choose from, so you can capture the spirit of the newlyweds or those celebrating an anniversary. 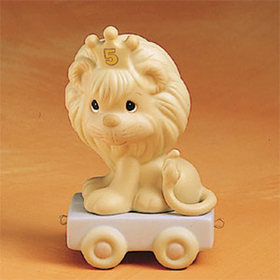 A Precious Moments Nativity set is a work of art. 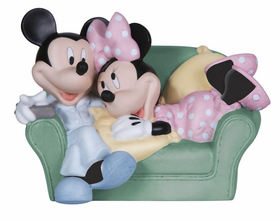 Tree ornaments, LED backlit figurines, full sets, and water balls are available. 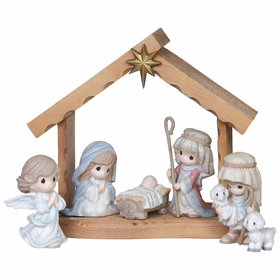 A Precious Moments Nativity set is beautiful placed on the foyer table, snow-dusted mantle, or showcase. 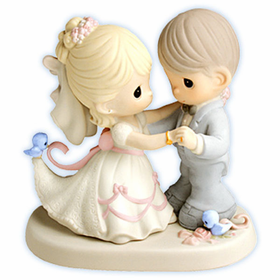 For the holidays and any other special events, Precious Moments figurines convey the timelessness of genuine emotion.